How co-creation can build government’s technical capacities—while meaningfully engaging citizen voices in open government reform. People experience their governments most tangibly at the state and municipal level—meaning these local bodies are exciting places for governance innovation. In 2016 the Open Government Partnership (OGP) 2016 launched a Subnational Pilot program to seize these strategic opportunities by supporting and amplifying the open government work of 15 pioneering states and municipalities. 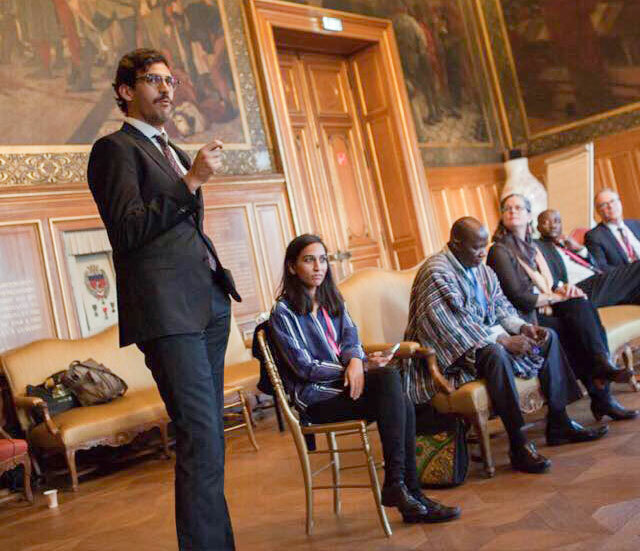 Reboot was engaged to support five of the 15 governments in the pilot, seeking to meaningfully incorporate citizen voices and civil society in the co-creation of their “Action Plans” (the first milestone of OGP membership). Working shoulder-to-shoulder with partners in government and civil society, we began the co-creation process in each context with intensive stakeholder engagement to understand the local and institutional priorities, constraints, and dynamics at play. 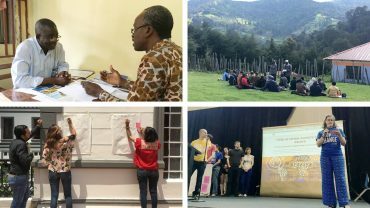 We collaborated on a series of visioning, brainstorm, feedback, and design workshops to co-create their Action Plans; throughout the process, our partners developed greater technical capacities in user-centered design, political economy analysis, open data, and adaptive management. All five of our partners successfully presented their final Action Plans at the OGP Global Summit. 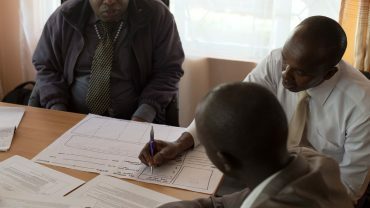 Ultimately, our work showed that the role of a “systems integrator” is vital to collaborative program and policy development; by serving as the necessary bridge between different perspectives to build a shared understanding, a third-party facilitator can unlock the enormous potential of this work. The open government ideals of transparency, accountability, and civic participation have the greatest potential for palpable impact at the state and municipal level. As these governments serve smaller populations, they have the space for direct citizen participation and engagement, which can inform demand-driven solutions. State and municipal governments also have considerable policy discretion, as well as the potential for greater responsiveness and smaller bureaucracies than national-level governments. These factors make subnational government reform a strategic area for greater impact and innovation for the Open Government Partnership (OGP). Recognizing the opportunity, OGP in 2016 launched a new Subnational Program to work with government and civil society pioneers to advance open government at the state and municipal level. For each pioneer, the challenge was to work closely with a broad and inclusive set of civil society to surface citizen needs and co-create open government solutions—a steep challenge considering the competing priorities, institutional constraints, and complex engagement necessary. With support from OGP as well as several partner donors, Reboot was asked to provide technical assistance to a full third of the 15 participating governments in overcoming these challenges. We worked closely with the county government of Elgeyo Marakwet in Kenya; the city government of Sekondi-Takoradi in Ghana; the provincial government of Ontario in Canada; the city government of Austin, Texas, in the United States; and the state government of Jalisco in Mexico. Our work in Canada and the United States was funded in each by the respective participating governments. We partnered with the Hewlett Foundation in our work in Kenya and Ghana, and our work in Mexico was supported by a private foundation. Working shoulder-to-shoulder with government and civil society partners in each country, we set out to support the co-creation of Subnational Open Government Action Plans (the first step of OGP partnership) and ensure that the plans were both ambitious (in their potential impact on citizen lives) and feasible (for governments to implement). Reboot knows from experience that co-creation is essential to building lasting open government reform on the basis of a shared vision; but we have also seen too many examples of how confusion about what “co-creation” entails can lead to shared disappointment. Our approach sets all stakeholders up for success by ensuring participants are able to work within local context and resource constraints. We begin with deep research, understanding that institutional dynamics, political priorities, and resource constraints all play an outsize role in determining the success of any initiative; understanding these factors and their interplay is vital for all stakeholders participating in a co-creation effort. Working shoulder-to-shoulder with our government and civil society partners, we built this important framework from the beginning, and then modified and adapted through continuous evaluation and stakeholder engagement. Realistic work means accounting for competing incentives. We completed thorough landscape reviews and research with key stakeholders to build our understanding of the local experience of government, inside and out. We served as a bridge between OGP and each government, and between each government and the civil society community, communicating insights and shared learnings throughout. For example, to prevent the misconception of open government as an externally driven distraction or competitor for limited resources, we identified existing programs that were already working toward accountability, transparency, and participation—potential opportunities to build on and accelerate their work. We worked with each of our five partners to develop a series of workshops to bring together relevant diverse stakeholders at the right moments. These workshops built on our existing learning and engagement; they included visioning, goal-setting, brainstorming, and design sessions, and facilitators focused on mitigating power imbalances and ensuring all voices were truly heard. We also supported workshops for citizen feedback and ideation; as some governments were already doing field-leading work in civic participation, we worked within these existing fora to solicit citizen ideas, while also supporting our government partners in evaluating the success of these initiatives and identifying opportunities to improve them. 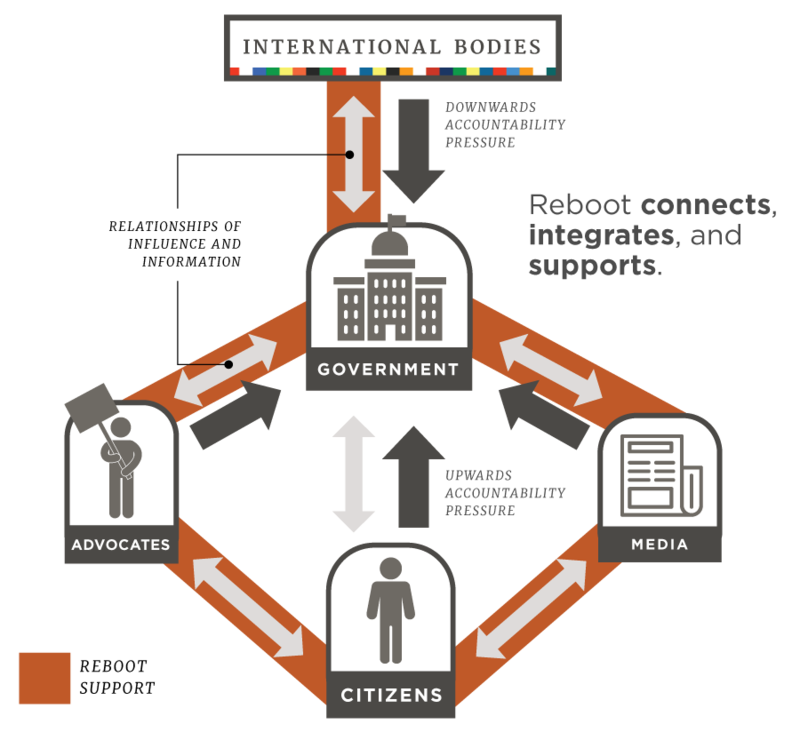 Each engagement with a subnational partner was itself a complex course in the advanced skills needed to conceive and implement participatory government reform. We worked closely to support our partners in both government and civil society as they developed these skills, such as 1) using political economy analysis to determine high-impact, high-feasibility reforms; 2) determining promising use-cases for open data; 3) leveraging user-centered design to better meet citizen needs; and 4) prototyping as a cost-effective solution development strategy. Through arriving at the required Action Plan, each partner also developed the internal capacity to implement these programs in an adaptive way, evaluating and improving continuously. Reboot plays a key role as a third-party “systems integrator,” a model of support to effectively bridge between multiple stakeholders to reinforce sustainable change. All five of our partners met their OGP requirements, presenting their Action Plans at the 2016 OGP Global Summit in Paris. They also brought valuable lessons from their work to share with their peers, fulfilling the vision of “open source” OGP participation. From our perspective supporting multiple partners, Reboot was able to share high-level insights about successful co-creation. For example, one common insight across the five projects was that there is huge value in building on existing priorities, opportunities, and mechanisms (instead of starting new open government initiatives from scratch). 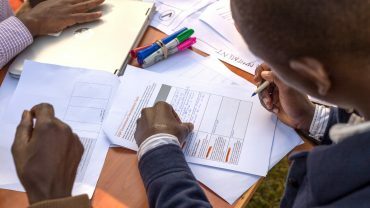 One example was in Elgeyo Marakwet, where we worked with government actors through a series of user-centered design workshops and identified existing processes that might offer opportunities. This led the team to design a new process for accepting citizen feedback via WhatsApp—a channel that was already heavily in use in the county, but unwieldy due to the volume of unorganized inputs. Similarly, in Jalisco, the team chose to draw on the existing networks and knowledge of an existing government participatory budgeting initiative, leveraging the groundwork of a program that was already surfacing citizen needs when co-creating its Action Plan. For Reboot, this work is ongoing. In the next several years, we will continue to find opportunities to engage with subnational partners as they co-create and implement open government reforms. We will also share our lessons and insights from this work with governments at all levels, as well as with the broader governance and transparency communities of practice. (For example, we have recently published a guide for prioritizing open government commitments, and a blog post sharing five lessons for successful co-creation.) Finally, we will actively pursue a learning agenda inspired by our collaboration with these original five subnational partners. Our work to date has demonstrated the value of a third-party “systems integrator” to bridge the divide between government and citizens, bringing different perspectives together to build shared understanding into truly collaborative policymaking. Going forward we will interrogate this model of support, while asking questions and sharing broader lessons about how contextual relationships between key actors in government, civil society, the private sector, and the media shape the success or failure of governance initiatives.